Today we have a new understanding of the dynamics of change and in particular why it can be so difficult. 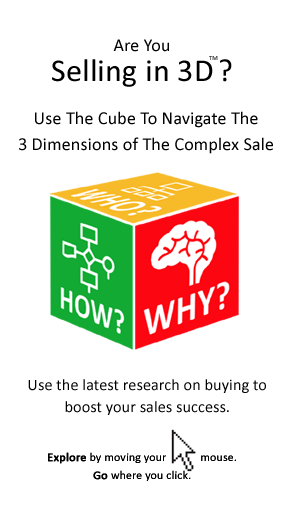 The seller who can leverage this new knowledge can greatly boost his, or her sales success. 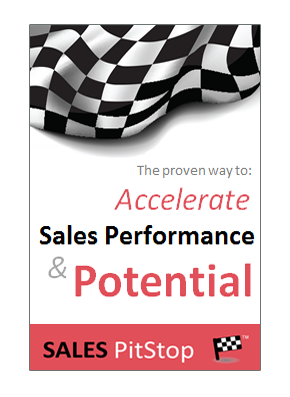 In this insight we will explore how seller’s can help their customer’s to grapple with the issue of change. Making a big purchase often requires changes on the part of the customer. In the first instance the customer may need to change attitudes and outlook in order to get acceptance of the need for your solution. Thereafter the successful use or implementation of your solution may require a whole set of other changes. For example changes in the way people work, or in their existing processes and systems. How big of a change does your solution represent for the customer? – How much change is required by your customer to purchase our solution? – Is the purchase consistent with the customer’s existing attitudes, beliefs and behaviors? – What is the customer’s appetite for and ability to change? – How can your solution reduce the requirement for, or ease the process of; change? Asking these questions for each opportunity is an important first step in addressing the challenge of selling change. Does your solution promise to change your customer’s world? If so beware! Change is not easy and it could present a significant hurdle to winning the sale. What needs to change for the customer to buy and get the most out of your solution? Change can be slow and costly. It also entails risk. Indeed, there is a deep rooted cynicism in many organizations regarding the ability to effect change accompanied by a legacy of failed initiatives.